Rose City Rollers is a 501c3 charitable organization, which means that you can make a tax deductible donation either online or through the mail. How else can you give? There are a few different ways to give and help support the mission of Rose City Rollers. A one time gift to Rose City Rollers helps us continue to serve women, girls, and non-binary people who want to play the team sport of roller derby, connect with an inclusive community, and realize their power both on skates and off. Gifts help us keep derby accessible to all people interested in playing, maintain our world class training programs, fund improvements for our first-of-its-kind gear lending library, and provide scholarships to junior and adult skaters. You can support Rose City Rollers every month with our sustaining member program! Starting at just $5.00 a month, this gift will keep working each month to help support Rose City Rollers programs and skaters. Joining the Inside Track comes with invitations to special donor appreciation events like private scrimmages and watch parties! Setting this up is easy! Go to the donation page and input the amount that you are interested in pledging monthly. Then just make sure to click “recurring donation”. You are all set! $5 a month means $60 a year. This is a new set of wheels for the Rent n Roll program, our roller derby gear lending library that is free to all youth who skate with our program and also used by our new adult skaters. $20 a month is $240 a year. This will get an entire new set of skates for Rent n Roll – boots, plates and wheels, the whole shebang. A gift of $20 a month means that our skaters are skating on the best and safest gear possible. $50 a month is $600 a year. This gift is the equivalent of 2 adult skater scholarships for the entire year. By pledging $50 a month, you will be able to make the roller derby dreams of two of our adults come true! $75 a month is $900 a year. For $900, we can outfit a skater with an entirely free set of rental gear. This means helmet, pads and skates. And pay their dues for the year. Do you have a car, truck, motorcycle, boat, or other type of vehicle? We’d love to take it off your hands! The process is super easy – you just call our vehicle donation partner, they arrange towing, identify the value for you, get you a tax receipt, and send us a check! The process is quick, easy, and impactful. Does your employer have a matching gift program? A lot of employers will match the gifts of their employees dollar for dollar, sometimes doubling or tripling the donation. Just ask your HR department if they have an employee match program; they probably have an easy form for you to fill out. Contact donate@rosecityrollers.com if you have any questions or need help with an employee match! Do you have stuff that you want to donate to the roller derby? We need a variety of supplies to keep the organization running. This could be construction supplies, event supplies, or volunteer services. Check our our wishlist and contact donate@rosecityrollers.com for more information. Don’t like sending money on the internet? Did you know that Amazon has a site that contains all of the same products as the original Amazon site, but they donate proceeds from it to various non-profits?  All you need to do is go to Amazon Smile and select Rose City Rollers! Every time you shop at Fred Meyer, you could be helping the Rose City Rollers! Link your Rewards Card to Rose City Rollers here!